In the early days between 1870 and 1904, Arvada had no sewage or water system, no organized fire or police protection, and no electricity. In short, Arvada had no town government. On April 22, 1903, leaders of the town met to discuss incorporation. Dr. Richard Russell, who had moved to Arvada in 1902, asked his friend Dr. Henry Buchtel, Chancellor of the University of Denver, to make a speech. The meeting was chaired by the Reverend John F. White, former Methodist minister. After heated discussion, those present voted to support incorporation and an election was held May 27, 1903. Incorporation was defeated. A second election was held November 10, 1903. Again incorporation was defeated. A third election was held on July 26, 1904 and the vote for incorporation passed 159 to 62! Articles of Incorporation for the Town of Arvada, population 600, were filed on August 24, 1904. The town boundaries were Ralston Road to the north, Carr Street to the west, 54th Street to the south, and Lamar Street to the east. The elected Town Board began meeting in September. Dr. Richard Russell, Mayor, and Trustees: Morton Alexander, W.L. Jeffryes, John F. White, F.S. Bobb, H.P. Benson, and Gibbs West. The new Town Board quickly awarded franchises to provide for the installation of electric and telephone lines. They hired a Town Marshal to keep order, eliminate farm animals and cats and dogs from the streets, and supervise the water ditches. The Town Board moved into a vacant building east of Wadsworth Avenue on Grandview Avenue. They rented space for $15 a month, finally purchasing the building in 1914. This building served as City Hall for 67 years until a new City Hall was built in 1971 at 8101 Ralston Road. World War I brought an upsurge in prices paid for crops, but the population fell to 840 as most eligible men joined the forces overseas. Rationing of food and supplies affected all citizens, and children helped tend war gardens. Military training was compulsory for freshman and sophomore students, and war training became an elective subject for upperclassmen. A.L. Davis built a two-storied brick building to house his Ford Automobile Agency in 1916, and the same year Clemency McIlvoy gave land and money to establish Arvada's first park. Marcello Nicolino erected a brick building in 1922 which housed his drugstore and a grocery store. Even the Ku Klux Klan had a presence in Arvada. In the early 1920s, the KKK targeted Arvada's small Italian Catholic community, burning crosses on Carr Hill, Hackberry Hill, and the lawn of The Shrine of St. Anne Catholic Church. Arvada welcomed E.E. Benjamin's Arvada Flour Mill in 1925. Wheat moved through the mill with a system of bucket elevators. Benjamin conducted a contest to name his fine flour, Arva-Pride. The first sack of flour was sold on April 12, 1926. The Mill also produced whole wheat flour and self-rising pancake flour. The Flour Mill, located at 5590 Olde Wadsworth Boulevard, can still be viewed today. World War II ended August 14, 1945, and Arvada, population 1,500, felt the excitement of the housing boom. In 1947 George Clizbe built 38 houses north of Ralston Road, and in 1948, Chet Hoskinson built 38 houses east of Carr Street in west Arvada. Hoskinson, in 1952, built 300 more houses east of Independence Street. With a population of 2,359, Arvada became a City on November 1, 1951. The Town Board was now called a City Council and the Trustees became Councilmen or Councilwomen. The first City Manager was hired in 1961. Arvada's Olde Town boomed. In November of 1947, Lloyd King opened his first King Soopers store in the Ralph E. Ashton Building on West 57th Avenue and Webster Street. Changes came when Arvada Square Shopping Center opened in 1959 followed by Arvada Plaza Center. These new centers, coupled with shopping malls throughout the metro-area, pulled business from Arvada's downtown commercial district. Wadsworth By-Pass was constructed in 1958, further diverting traffic from Olde Town Arvada. Fortunately, City leaders and historians recognized the significance of the Olde Town area, which is now a designated National Historic District. Early Arvada's country lanes were not made for automobile traffic, a fact which became obvious soon after the first county automobile license was issued in 1908. Rail transportation was a boon to the area. In 1902 the Denver Interurban, fondly called "the trolley", began regular runs from Arvada to Denver. The line was extended to the coal camp at Leyden and a run of the trolley "every hour on the hour" could carry both coal and passengers. The trolley made its last run on June 25, 1950. In 1877 a road was built from Clear Creek, north to Arvada. Later, a bridge was built over Clear Creek and by 1917, traffic had increased on the road to the point that a warning signal had to be established at the railroad crossing. Road improvements for the entire town became more and more necessary. Wadsworth road was graveled, and in 1922, Arvada's Town Board ordered 52 loads of gravel to be dumped on Grandview Avenue. The men of the Town, shovels in hand, spread the gravel through the business district to connect Arvada's "Main Street" with the under-construction cement road from Denver, which would terminate at Graves Avenue (Lamar-Marshall Street). The first Arvada Harvest Festival, now an annual tradition, was held in October of 1925 to celebrate the completion of the paved road. On October 15, 1941 the first traffic light was installed at the corner of Wadsworth and Grandview (in 1934 the street was renamed Grandview from Grand View). This was the first traffic light in Jefferson County! On January 28, 1967, the "super highway," Interstate 70, was opened between Wadsworth and Kipling streets. A primary responsibility of any municipality is the provision of water. In Arvada, as in most front range communities, water is a scarce and precious resource. Prior to Arvada's incorporation in 1904, houses and stores drew water from individual wells, or filled buckets from the irrigation ditches. As Arvada's early pioneers settled into their daily routines, the demands for water grew along with the population. Farmers needed water to grow crops, miners required water for milling operations, and industries such as the local blacksmith needed water as well. The first irrigation ditch was dug in 1860, and a maze of irrigation ditches followed, many of which still exist today. Still, the ditches could not provide reliable, quality water, and the first well was dug in 1870. In 1910, the Arvada Water Tank was completed, providing artesian water that promised to end all water problems. However, a growing population stressed the water system. Through the years that followed more wells were dug, and dug deeper again. Pumps were installed, and water towers erected. By 1955 residents were using 160 million gallons on an annual basis, and the well system was strained to the breaking point. Therefore, to supplement the wells, other water supplies were developed. On March 14, 1960, a landmark contract was signed between Arvada and the Denver Water Board. The Contract secures three-fourths of Arvada's water: 19,000 acre feet per year collected from the Fraser River and South Boulder Creek Basins and transported first to Gross Reservoir and then to Ralston Reservoir. The Contract also specifies that Arvada pays the rate Denver charges itself for water plus one percent, and that the contract is perpetual. Signing of the contract ended months of negotiation regarding Arvada's water rights from the western slope and transported through the Moffat Tunnel. In its early days, Arvada faced crime and lawlessness from time to time. Murder, robbery, assault, and other crimes were reported every so often. Concern at the lack of police protection was one of several reasons why some citizens pushed for incorporation. The Golden Globe newspaper reported in January of 1904, "In view of the robberies going on at this place, the citizens feel that they ought to have some protection. Well, the constable lives out of town, the deputy sheriff is protecting Moffat's coal mine and the high sheriff himself visits the town about once a month at high noon. Why not incorporate?" The establishment of a police presence was a primary goal following the vote to incorporate on August 24, 1904, but for years the town got by with elected Magistrates and Marshals. In 1941, the Town Board hired Arvada's first uniformed policeman. In 1950, the Arvada Police Department was formed, beginning its operation with a Chief and a Deputy Chief. In addition to responding to calls for service, the duo also read meters and performed many other duties. In 1907, the Arvada Town Board approved the purchase of Arvada's first fire engine. The hand-drawn chemical fire engine arrived by rail from New York, and a group of volunteers known as the Arvada Fire Company was established. In 1911, the Arvada Fire Department was formed, funded primarily by appropriations from the Town Board and profits from dances held on the second floor of the First National Bank building. Arvada's first motorized fire engine was a 1923 Graham Brothers chemical engine purchased in Denver from the Julius Pearce Fire Supply Company. The "Old Dodge" can still be seen traveling the streets of Arvada, with its use now restricted to parades and other special events. In 1949, local citizens approved the formation of the Arvada Fire Protection District, which transferred control and financing of the department from the Arvada City Council to a separate Board of Directors consisting of five elected officials. For many years, the Arvada Fire Protection District (AFPD) was the largest volunteer fire department west of the Mississippi. In 1999, voters within the District supported a mill levy increase to allow the Arvada Fire Protection District to move from an all-volunteer organization to a combination volunteer/career District. Today the Arvada Fire Protection District covers approximately 40 square miles and serves a population of 110,000. The town of Arvada was the business and social center of the valley. Everyone came to town on Saturdays. Most stores had a hitching rack to tie up horses while customers shopped, and trees in the middle of Grand View provided welcome shade. There were no paved streets or sidewalks. Planks were laid across the largest puddles in wet weather. Early residents of Arvada participated in community activities of all sorts, and founded service clubs, literary societies, sporting clubs, farming organizations, pioneer associations, and adult education. There were always lectures or club meetings to attend. Barn dances were held in various people's barns or in public buildings. Women brought cakes and pies, and passing the hat paid local musicians. 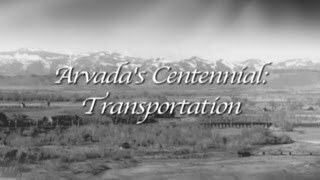 In 1925, the first concrete road between Arvada and Denver was completed and the newly formed Chamber of Commerce planned a huge celebration with Arvada's fall harvest for October 17. An appearance by the Governor and a football game were planned, as well as speeches, displays of goods and farm animals, and music and dancing. No one counted on a blizzard the night before the celebration, but Arvadans shoveled the roads and celebrated anyway, without the Governor or the football game. Thus, the annual Harvest Festival was born. Only three times since has the Festival not been held: one year during the Great Depression, once during World War II, and once during a polio scare. In 1937, a group of Arvada women decided to get together to discuss the growing of plants and flowers. Soon the group became the Arvada Garden Club. Their motto was: "Strive to develop the beauties of our town." Until 1999 when the Club officially disbanded, members planted trees, flowers, and shrubs all over the community, including Olde Wadsworth Boulevard, Hackberry Hill Park, the Arvada Library, and McIlvoy Park. They held fund-raisers to support community projects such as providing Christmas trees to Fitzsimmons Hospital and running a therapy project at the Ridge Home.